Nearly every university in Seeding Labs’ worldwide Instrumental Access network has been touched by Merck’s donations. 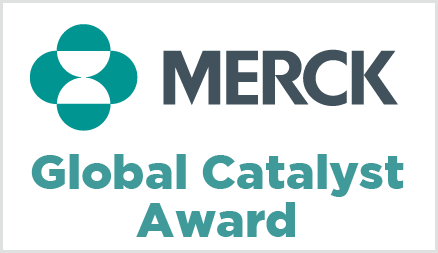 In recognition of this unparalleled commitment, Merck (known as MSD outside of the US and Canada) was honored with the Global Catalyst Award at Seeding Labs’ Positively Instrumental celebration on March 22. The award recognized Merck’s unmatched contributions and their commitment to expanding their global impact. Merck has set an example for the sector, working with Seeding Labs since 2010 to provide new scientific opportunities for thousands of international scientists and their students. Just in the past year, Merck has broadened how they partner with us and expanded their contributions by 60%! As a result, there are thousands of scientists and students with access to high-quality equipment that they wouldn’t otherwise have without Merck. “It is incredibly exciting to know that our surplus equipment is being applied to advance scientific research in developing countries through our partnership with Seeding Labs,” recounts Mark Goulet, Executive Director, Discovery Operations, Merck Research Laboratories. 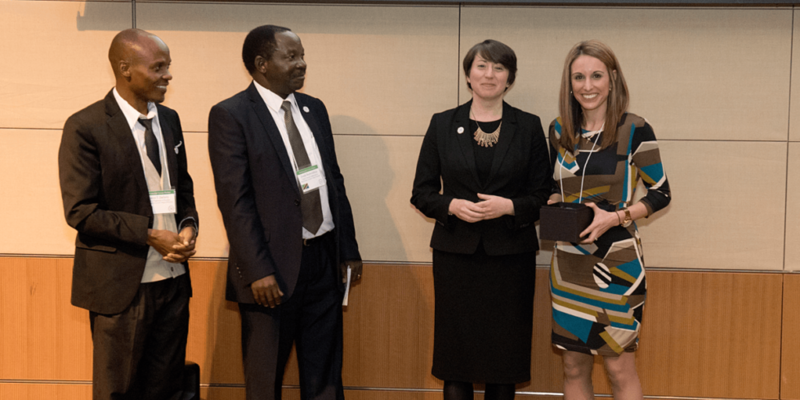 At Positively Instrumental, Merck Research Laboratory’s Cristina Gibson (pictured above, far right) accepted the Global Catalyst Award from Seeding Labs founder and CEO Dr. Nina Dudnik. Dudnik was joined by Dr. Joseph Buchweishaija, Deputy Principal (second from left), and Dr. James Zacharia (far left), Head of the Department of Chemistry, of the Dar es Salaam University College of Education (DUCE) in Tanzania. DUCE was one of the 2017 Instrumental Access awardees announced at the event that will benefit from Merck’s support. They are planning to use equipment from Seeding Labs for research and teaching in their Department of Chemistry.